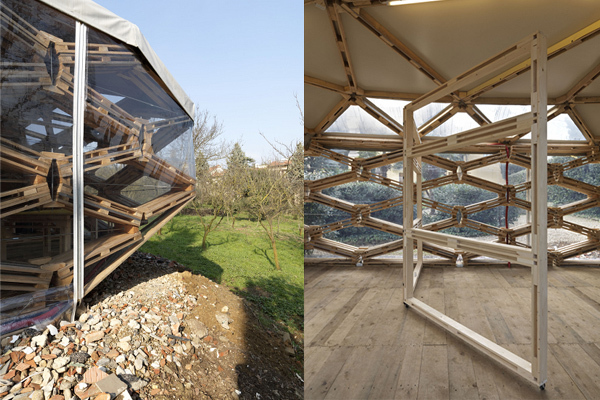 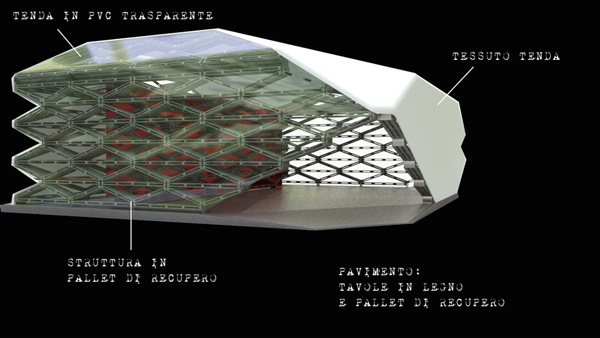 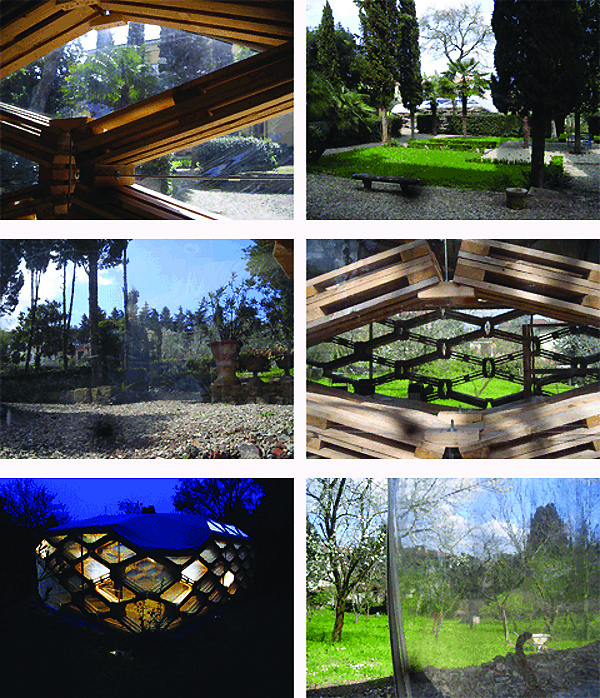 The pavilion is located in the garden of Villa Romana, the German Institute of Culture in Florence, Italy. 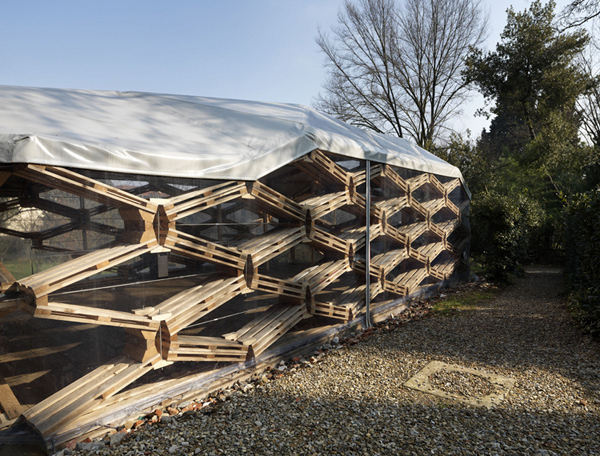 The demountable structure of 100 square meters is made of precast diamond shaped wooden palletsand custom made joints. 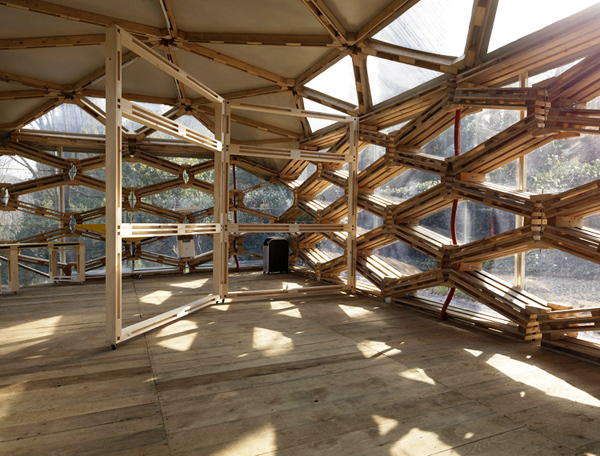 The assembly process takes four days. 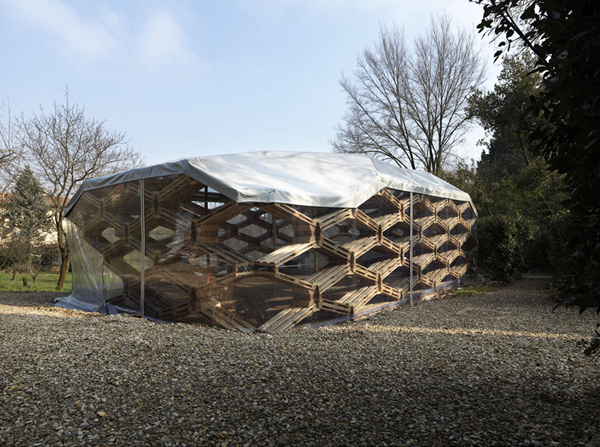 The wooden structure is wrapped by a continuous PVC membrane, opaque for the roof and transparent for the walls.